Marine Battery Isolator/Changeover Switch - 4 Pos - 300A Cont. 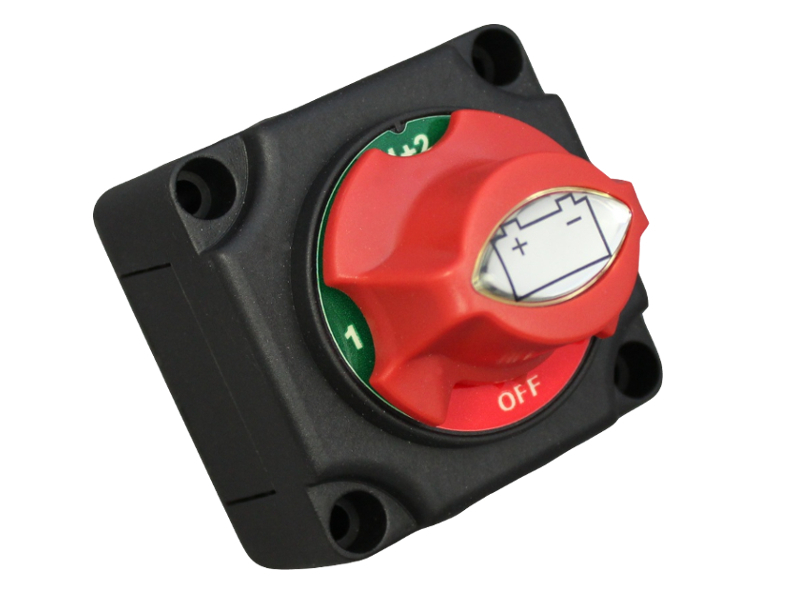 4 position (1 ON / 2 ON / 1+2 ON / OFF), single pole marine battery isolator / changeover switch with fixed control knob and square body profile. For selection / isolation of 2 batteries (or battery banks). Useful for selecting power sources on boats, preventing battery drain if left for long periods, or isolation of the power sources in an emergency. 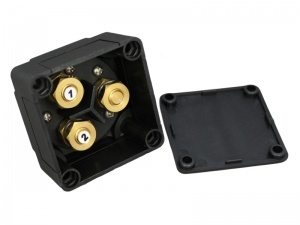 4 breakout panels provide various cable entry options. This switch is much smaller than as appears in the display photo. I had to remove the bottom and two sides of the cut-out pieces in order to fit the three cables. Otherwise no problems.